The Grands Crus Cacao range has been elected product of the year 2017*. 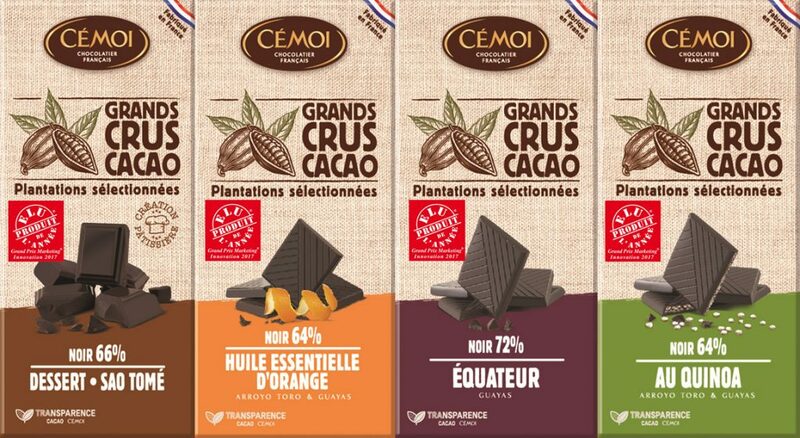 CÉMOI has selected the best cocoa origins to create 4 bars : Huile Essentielle d’Orange, Quinoa croustillant, Equateur et Sao Tomé. The bars have won the Marketing Innovation 2017 price. It highlights the the extraordinaries taste caracteristics of the bars, which result from the Transparence Cacao program.